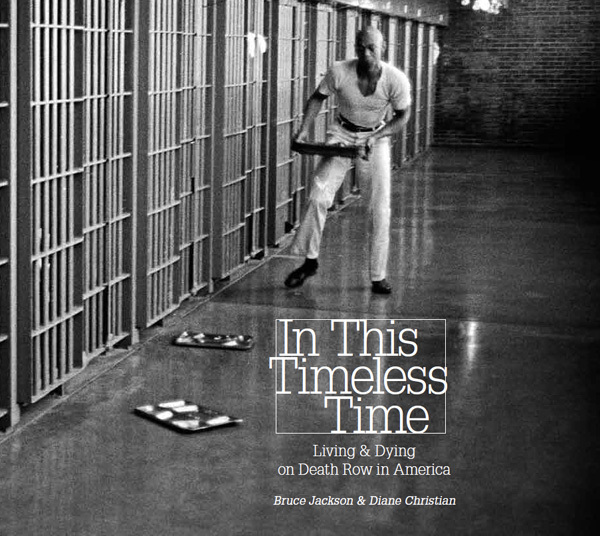 “Death Row differs from all other prisons in this one regard: it is the one prison in which everything happens outside of official time. Every other prisoner in the penitentiary is doing time; the condemned are suspended in a period between times when the official clocks are running. The clock stops the moment the judge announces the sentence of death; it resumes when the sentence is carried out, transformed into something else, or vacated entirely. The condemned live, as Donnie Crawford put it in the poem from which this book takes its title, in a ‘timeless time,’” write Jackson and Christian. The book is made up of three parts: photographs Jackson made in 1979; commentary written in 2010; and the story of how Jackson and Christian got access to a place from which outsiders are usually excluded, and some things that happened during the course of their fieldwork.